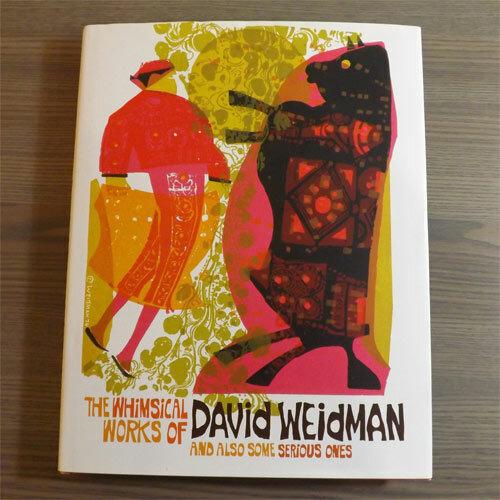 This astonishingly beautiful book covers the broad career of David Weidman; from house builder to animation artist to printmaker and then ceramicist. What little text there is, is sprinkled amongst vivid and intricate reproductions of animation cels, screen prints, and character sketches. There are several aspects of Wiedman’s work which translate so well into print – his rough, carefree line, and his broad colour palette, to name two. But it is Weidman the printmaker who, for me, really draws the book together. His playfulness and energy perhaps an unavoidable after-effect of working so long in the animation industry are apparent throughout. …take prints off the press in the middle of a run, and while the ink was still wet start playing with it with crumpled up newspaper or folding the print; or printing on damp paper […] I did a lot of things to try to integrate the medium and the art.. 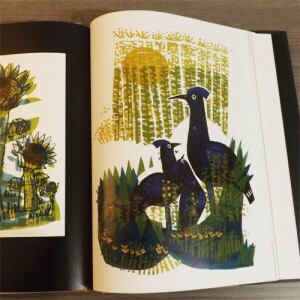 I talked about experimentation being an important part of printmaking in a previous post. For me, this is really what printmaking is about, and Weidman embodies this. We will cover screenprinting in much more depth in future posts and videos if that floats your boat. Though it is still possible to get this book on Amazon (it was about £150 last time I checked), it is well worth trying to get it from the library. I was lucky enough to get it for £20 when it first came out. 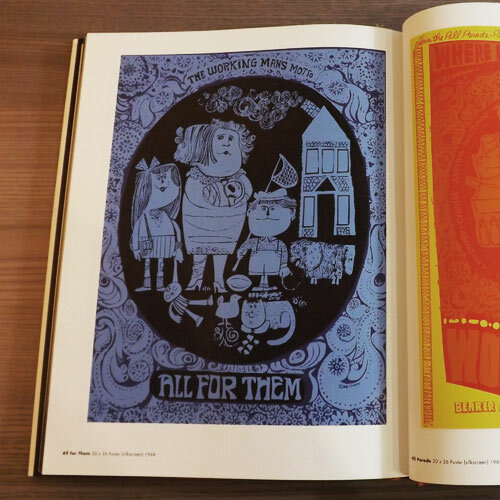 Even if you can’t get a look at the book, do have a gander at his website. His studio still produces editions of his original designs.